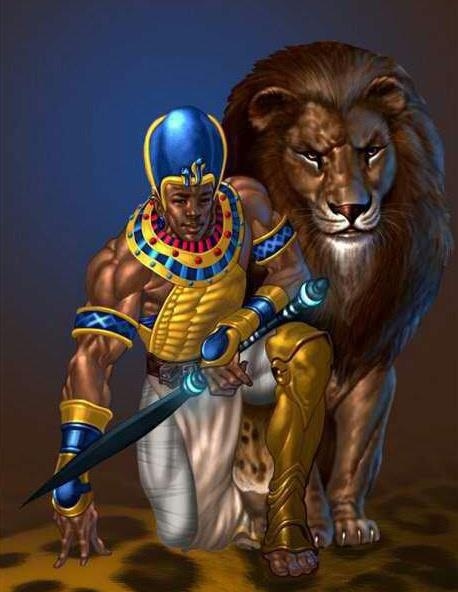 In the year 730 B.C., a man by the name of Piye decided the only way to save Egypt from itself was to invade it. Things would get bloody before the salvation came. “Harness the best steeds of your stable,” he ordered his commanders. The magnificent civilization that had built the great pyramids had lost its way, torn apart by petty warlords. For two decades Piye had ruled over his own kingdom in Nubia, a swath of Africa located mostly in present-day Sudan. But he considered himself the true ruler of Egypt as well, the rightful heir to the spiritual traditions practiced by pharaohs such as Ramses II and Thutmose III. Since Piye had probably never actually visited Lower Egypt, some did not take his boast seriously. Now Piye would witness the subjugation of decadent Egypt firsthand—“I shall let Lower Egypt taste the taste of my fingers,” he would later write. North on the Nile River his soldiers sailed. At Thebes, the capital of Upper Egypt, they disembarked. Believing there was a proper way to wage holy wars, Piye instructed his soldiers to purify themselves before combat by bathing in the Nile, dressing themselves in fine linen, and sprinkling their bodies with water from the temple at Karnak, a site holy to the ram-headed sun god Amun, whom Piye identified as his own personal deity. Piye himself feasted and offered sacrifices to Amun. Thus sanctified, the commander and his men commenced to do battle with every army in their path.